Classic Plastics provides various mortuary and burial service accessories. Our products include garment storage, personal belongings bags, and mortuary supplies. 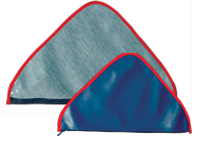 Our mortuary accessories are made from durable vinyl. 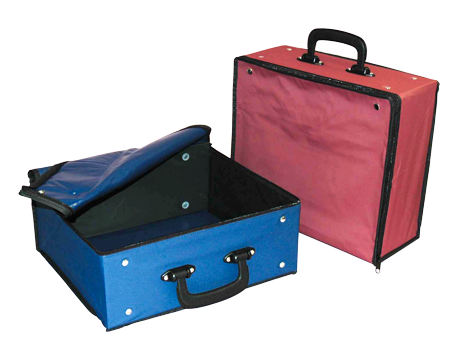 Our Personal Item Case is available in two sizes, 10"x12" and 12"x14". It ships in a compact design that unfolds into a zipper case with a convenient handle, snap open option and supported sidewalls. We offer two color choices, maroon and navy blue. 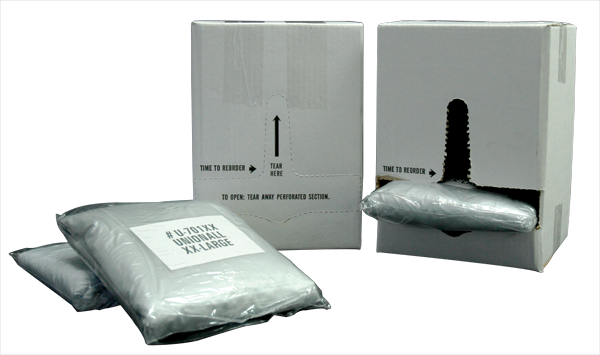 Our durable white cardboard dispenser boxes are a great way to organize and store mortuary garments. Most garments will fit 10 to each dispenser box. Our Deluxe Flag Bag is designed using blue and transparent vinyl, laminated to a soft nylon fabric with red beading around the perimeter of the case. Our Classic Body Wrap is a stock disaster shroud measuring 72"x120" and is made from green vinyl. If you have a custom requirement, our Classic Body Wrap can be custom manufactured to fit your needs. Please inquire if you have a custom request. The Classic Urn Bag is perfect for protecting urns for storing or traveling. It is made from high quality maroon velvet with a black cloth lining. It comes with convenient dual gold drawstrings for closure. The urn bag will store urns of various sizes as it measures 18” x 16”. The bags are individually packaged. The Classic Jewelry Bags are designed for storing jewelry or keepsakes after the funeral. It is constructed from maroon velvet with dual maroon drawstring closures. It is the ideal compact size measuring 4” x 5”. 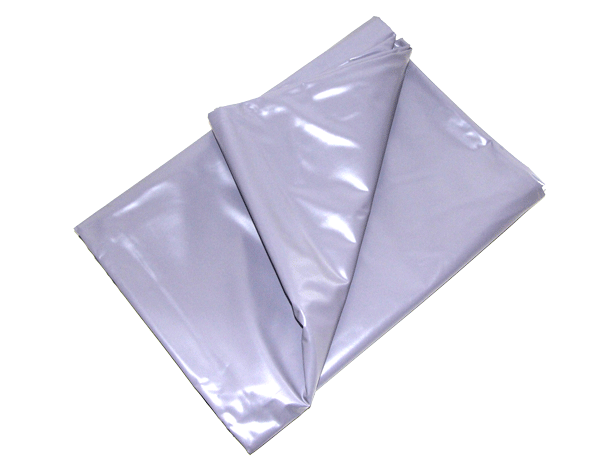 The bags are packaged in lots of 25. Our mortuary garments are manufactured using standard vinyl and our exclusive "soft touch" polypropylene formulation.